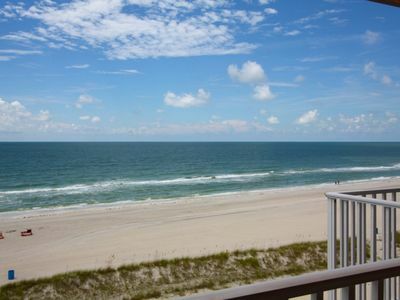 WELCOME TO OUR SPECTACULAR 4TH FLOOR MADEIRA NORTE GULF FRONT CORNER CONDO AT JOHN'S PASS! 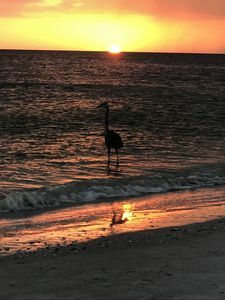 We invite you to be our guest, relax and enjoy the breathtaking view from our 2-bedroom, 2-bath, 4th floor, direct beach front, contemporary condo. 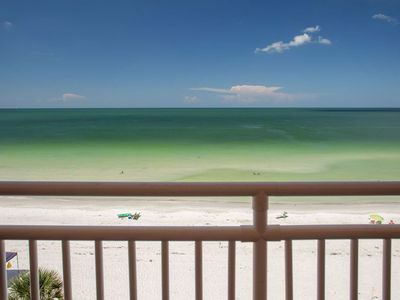 Walk-outs from both the master bedroom and living room to our large balcony give you spectacular views of Madeira Beach, the Gulf of Mexico and the schools of dolphins and other marine life that are visible from the balcony area due to the height of our unit. 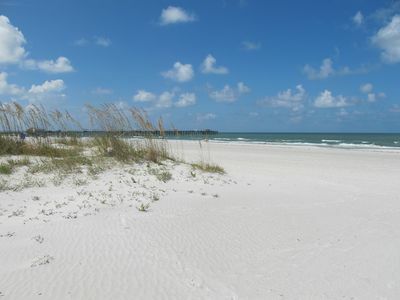 Look to the south and you will see the entrance to the world-renown John's Pass. 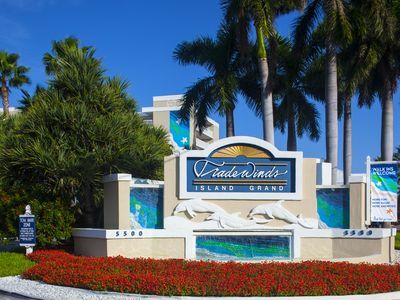 Catch a glimpse of the fishing, pleasure and casino boats as they enter to gain access to the intercoastal waterways or exit to cruise the warm waters of the Gulf of Mexico. 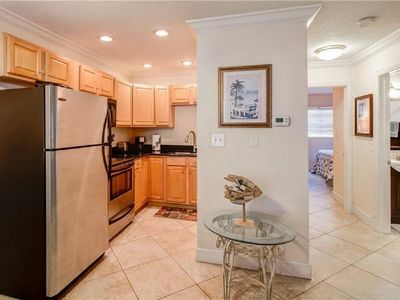 Our recently upgraded kitchen, with high-end stainless steel appliances, looks into a very spacious dining room / living room offering a spectacular view of the beach. 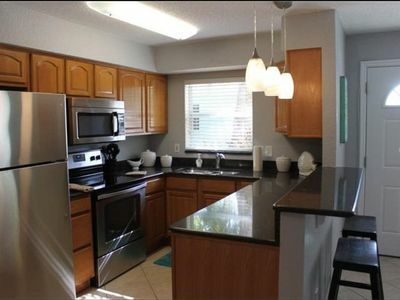 Enjoy the elegance of granite countertops and an eat-in bar area. Our open-concept style gives you the option for a snack or light meal at the eat-up contemporary area with bar stools. 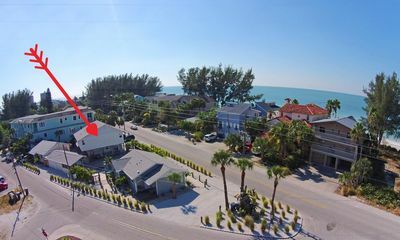 Alternatively, have a family-style meal in our dining room eating at our glass-top table with seating for 8 with wide-open views through the living room and out to the gorgeous gulf waters. Being on the corner of the Madeira Norte building, you will definitely notice the extra 200 sq. ft. and our unit's additional wall of windows when comparing to the other 75% of the interior units in our 80 unit, 5-storey building. 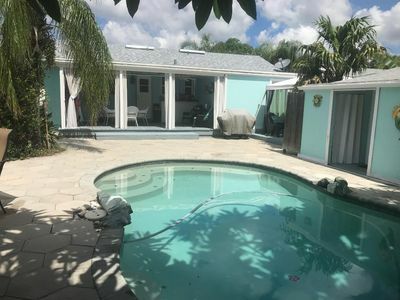 Feel the luxury of the larger living space with a front foyer and storage closets, along with two full-bathrooms and large, stackable washer/dryer appliance conveniently hidden from view. 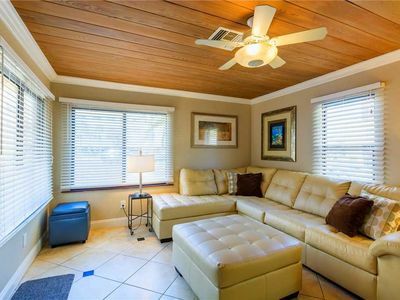 If you choose to sleep in our master bedroom, you'll cherish the wonderful Florida sunshine with windows facing south and the west facing, sliding glass walk-out to the balcony which overlooks the beach and pool. 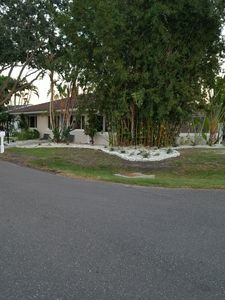 King size bed, desk, dresser, night stands, TV and oversized ensuite with full bath, granite counters, new fixtures, built-in clothing storage drawers and a large walk-in closet. Blackout curtains will give you the option to sleep as well! 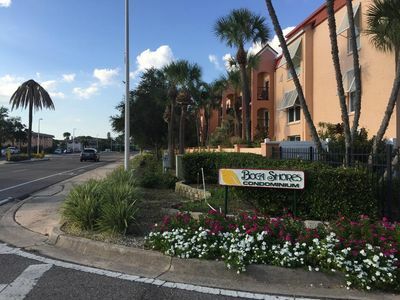 Our guest bedroom has a large south-facing window for its occupants to enjoy the breathtaking view of John's Pass which is as beautiful in the day as it is in the evening! 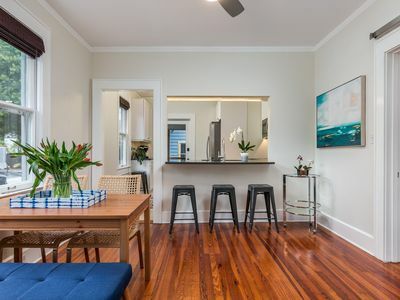 This room is furnished with a queen bed, TV, night stands, a large closet and a private full ensuite bathroom, renovated in ceramic tiles and granite. Your rental stay includes the use of a reserved, covering park space, which is steps from the elevator for easy access and convenience. Visitor parking is also available. 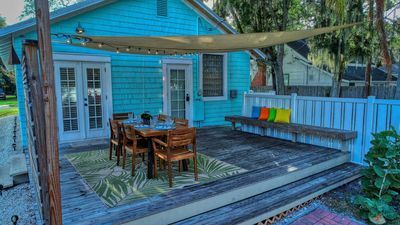 Outdoor table and chairs are on our balcony for your use day or night. 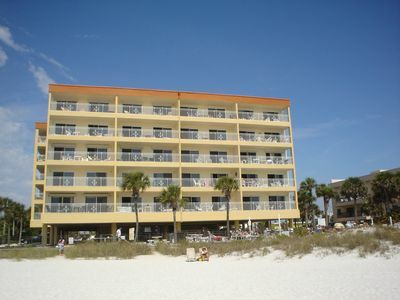 Beach chairs, umbrellas, sand toys and light beach sports equipment can be found inside the unit. We want you to completely enjoy your visit with so we have added complimentary WIFI and cleaning of the condo on your departure day. 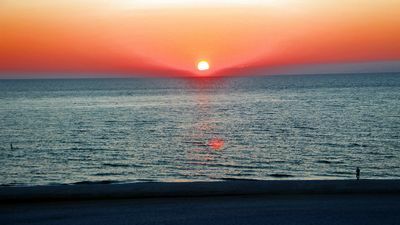 TOP FLOOR SUNSET VISTAS BEACHFRONT CONDO NEW KING IN MASTER GORGEOUS GULF VIEWS! Top Floor Beachfront Stateroom. Quiet and Private. The Beach Here is Incredible! 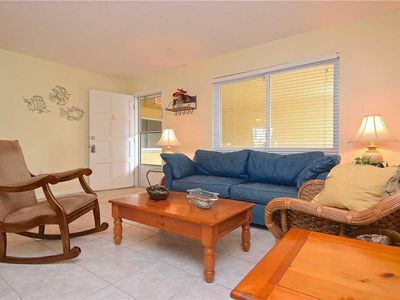 Beautifully Appointed Beachfront Condo. Bright and Clean. Panoramic View from the Living Room! 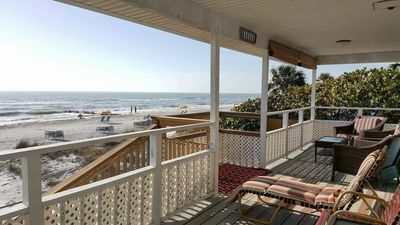 Oceanfront Condo On Private Sunset Beach!! 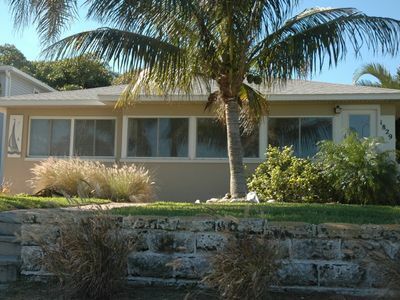 BEST OF THE BEACH_luxurious house just steps from the sand_ALL the amenities!!! 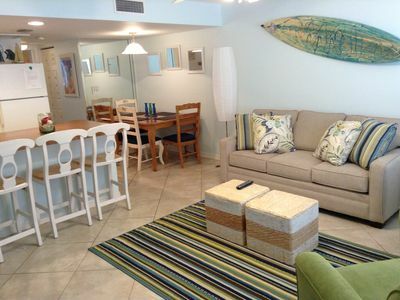 Beachfront Condo 3 Bedroom 2 Bath May openings! Great spring getaway! 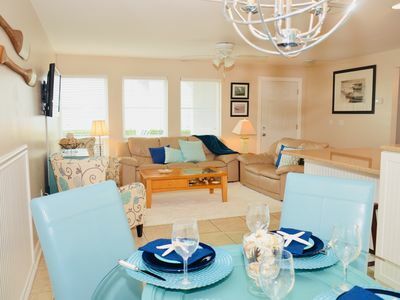 Getaway Right By The Beach!